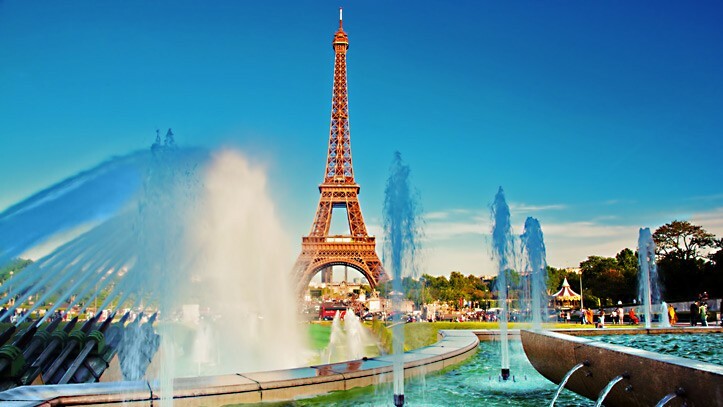 Paris is the ultimate romantic destination and the top of many couples’ bucket lists and it is not hard to see why. There are so many incredible places to visit, food and drinks to try and memories to be made! We have put together a handy guide so you don’t miss out on anything and you can make the most out of your time in the city of love! Our advice to you when it comes to navigating Paris is to relax and go with the flow! The Paris metro (the underground) is an easy and a cheap way to navigate the city. The metro will take you from A to B and from there, just wander. There is nothing more wonderful than the hustle and bustle of the city streets and you will never know what kind of incredible shops/ gardens/ bars or sights you will discover as you take in the atmosphere. If the underground is not for you, there is also a fantastic ‘hop on and off’ bus service, that circuits round the City and it is perfect for sightseeing. The Palais royal gardens are the perfect spot to wander away the afternoon between the boxed hedges. The gardens are a must see before heading to the chic arcades that frame the gardens. looking for a real culture drenched must see? Then head to the Louvre, not only does it house the gorgeous and mysterious Mona Lisa; but there are so so many incredible pieces of art you must go and see! The Notre Dame is an absolutely incredible landmark and whether you are a religious or not, it truly is a must see when in Paris. If you can make the stairs, then we implore you to do it, the view from the tower at Notre Dame is a view that you will not likely forget. The Paris Catacombs are utterly incredible, if not a little on the spooky side! Now this particular sight is not for the faint hearted! You will find yourself underneath the streets of Paris in ancient tunnels lined with the remains of over six million people. Now it’s a good long stretch through the Paris underworld finished off with many stairs back to surface, but trust me. It is worth it! Located in Paris’ red light district, the Moulin Rouge is a must! Not only is it an incredible looking location, I mean come on it is a giant red windmill in the middle of a street, but it is also the perfect place to be immersed in the home of the cancan and to revel in lavish surroundings. There is a dress code for entry, so dress to impress, get some champagne and enjoy a night you’ll never forget! There is even little horses in the show! No matter where your time in Paris takes you, you are in for something special. Paris is the epitome of chic and it is picture perfect all year round. Great Post!! Thanks for sharing ! !